Manuals are not always considered to be the favorite part of any product. That is something of an understatement. Most of us rather not spend time reading texts that state the obvious. Nor do we want to read texts that seem to be immensely complex. How to address this lack of popularity? By writing good manuals of course. But also by nature letting take its course: when a user notices something does not work, he will probably also notice the manual wasn’t that bad after all. But you can not take the goodwill of the user for granted. This article is all about creating goodwill by improving the usability of your manual. Why is it better to write a booklet that compares roughly to an A5 sheet than a book that compares roughly to an A4 sheet? This all has to do with psychology. A booklet is perceived as user friendly because of its friendly appearance. There is no association with a boring handbook that students had (or have) to read at school. In this respect, it doesn’t matter that an A5 booklet may be thicker than an A4 book. It is the appearance that counts. Writing a booklet has not only to do with appearance, though. The usability of such a manual is also greatly enhanced by dividing texts into smaller blocks. A technical writer is more or less forced to think in little text blocks when writing a booklet. When writing something that resembles a book, he or she could be inclined to write rather long paragraphs – which look horrible in a booklet. Also, long paragraphs do not exactly improve the usability of a manual. What is meant by ‘Consistency is key’? Well, in relation to our goal of improving the usability of a manual, it basically means two things. First, concistency has to do with choosing your words correctly. An example comes in handy. Suppose a technical writer refers to the front of a printer as ‘the cover’. If he/she refers to this cover using the word ‘front’ at another occasion or uses the word ‘cover’ a second time in order to refer to the lid of the printer (instead of the front itself), then the user gets lost. That is why a word should always refer to the same part of the product. This is stating the obvious. But the fact that manuals do not always have a particularly good reputation, has to do with the fact that this rule is not always adhered to. Second, consistency has everything to do with layout. Each chapter, each paragraph and each task in each paragraph should be recognizable on the basis of its apperance. This appearance is defined by using identical fonts, identical colors, the right numbers (Arabic or Roman), and so on. 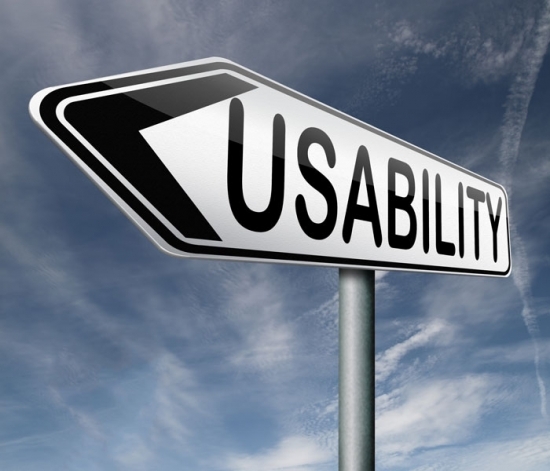 This way, the usability of any manual is greatly improved: a user knows what to look for and how. This philosophy is also important on the individual instruction level. Instructions like “1. Start the engine by pressing the green button, 2. Check the fuel status on the dashboard” should have their own layout. For example, instructions could be placed in a table where every instruction gets its own cell. This way, it is very easy to scan them and recognize them. Provided that each table has a recognizable title, like “Replacing the ink cartridge”. One could try to be funny in a manual in order to win the hearts and minds of the readers. But telling a joke in terms of “If you do not want your engine to fall silent in the middle of nowhere, always check your fuel status first” may go against your intention of motivating the user. The user only wants one thing: getting a job done. If he wants to check how much fuel is left, he only need to knows how to do that. Probably it is done by checking the relevant gauge on the dashboard. It is better to stick to his kind of information. Being minimalist in order to get things done as speedy as possible, should be the primary concern of any technical writer. Trying to be funny can be counter productive, but also trying to be polite can work out negatively. “Please be so kind as to check the fuel status” not only takes a longer time to read than “Check the fuel status”. It also can cause confusion. By being polite in this particular case, it is not exactly clear whether checking the fuel status is really necessary or not. Being a minimalist does not mean: being incomplete. On the contrary, if it is necessary to first put on the oxygen mask before proceeding with saving the aircraft, this instruction should be the first on the list. This brings us to another point with which to improve the usability of a manual. Open the lid of the tank. Secure the lid by fastening its handle in the corresponding hole on the ground. Check if there is no fluid in the tank. If there is, use the red tap to drain the tank. ‘Being complete’ actually means: being aware of which target group a technical writer is writing for. The level of detail can differ greatly when addressing qualified personnel (who would be offended by too much detail) and first-time users (who need quite some guidance). If one wants to improve the usability of its manual(s), this is one of the most important things to keep in mind. ‘Divide and conquer’ has a negative connotation to it. But in the world of technical writing ‘divide and conquer’ definitely sounds very positive. By using this hierarchy over and over again, the user knows exactly where to find his information. A manual is not meant to be linear: a reader does not begin reading on page 1 and does end on page x. Each and every time, he has a task at hand. Each and every time, he simply wants to get that particular job done. The way to improve the usablity of a manual on the basis of the ‘divide and conquer’ strategy is: divide and subdivide a manual in as many text blocks as is necessary and label them as concrete as possible.